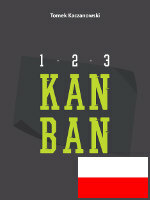 the main topic of the book is writing of good unit tests, and NOT a particular technology. 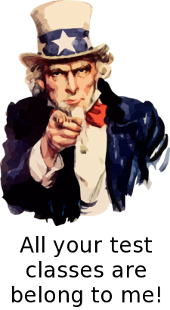 This means that by rewriting code samples and changing few sections related to TestNG-specific features (i.e. replacing them with JUnit counterparts) I can prepare a new book that can be read by much wider audience (TestNG is still much less popular than JUnit). 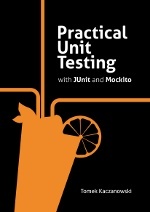 The status today is that the JUnit version of the Practical Unit Testing book is nearly finished. There are still some technical things that should be done (i.e. proofreading) but the content is already there. 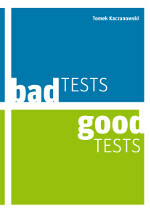 After this new-old ;) book is published I go back to "Bad Tests, Good Tests" (still looking for examples of bad tests! ).